SIOUX FALLS, S.D. 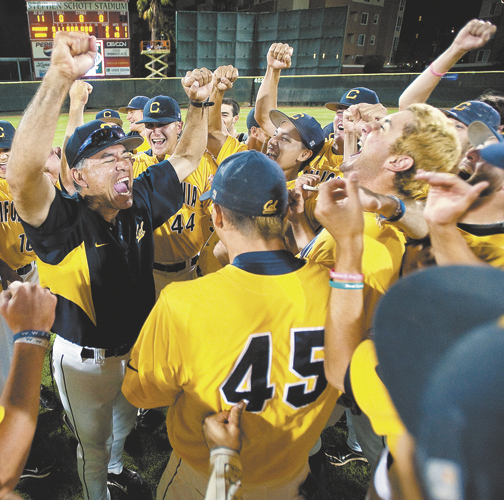 — Augustana’s baseball team performed a miracle last season. The Vikings became the northernmost team ever to win the NCAA Div. II championship. Keep in mind 33 of the 50 national champions on this level have come from Florida or California. Almost every year, a team from a warm climate with a full compliment of 9 athletic scholarships claims the title. There is little doubt that Augustana’s championship was the greatest achievement by a northern team in NCAA Division II history considering the Vikings only had five scholarships for its 47-man roster. Plus, Augustana annually battles bone-chilling weather which means training inside for months prior to the season. The coldest temperatures in Sioux Falls historically annually take place from December to February. From December of 2018 to early February of 2019, 69 of the 70 days saw lows below freezing. Thirty days were 15 degrees or below and 14 days below zero with a frigid maximum low of -25 on Jan. 30. The wind chill factor that day was -47 in Sioux Falls. During the month of April last year, Sioux Falls had a record 31.4 inches of snow. The point is that Augustana doesn’t have Chamber of Commerce weather during the early part of the season as the Vikings typically play 13-20 games away from home to kick off the season. That means many long bus rides in difficult driving conditions. Despite this tremendous handicap, the Vikings rolled to a 52-9 record in 2018, the most wins in school history. 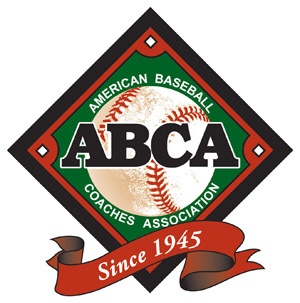 Augustana’s offense stole 170 bases in 198 attempts which was the highest amount of stolen bases on any level of college baseball. Just as remarkable was that Augustana held opponents to only 21 stolen bases in 42 attempts over 61 games. The pitching staff had a 2.84 ERA with 559 strikeouts, 168 walks and a nation leading 14 shutouts. The Vikings started off 2018 with a remarkable 34-2 record and were ranked No. 1 in the nation. But many people don’t realize Augustana promptly lost 6 of 10 games entering the conference tournament. The Vikings rebounded to win 12 of their final 13 games, including four straight at the NCAA Div. II College World Series, enroute to their first national baseball title. The mastermind behind this superb program is Head Coach Tim Huber who enters his 11th season at Augustana. “There are a lot of negatives which involve the weather,” said Huber. “But there are also some positives that come with the weather as well. We are inside a lot, especially early on in the season. To read more of this story, purchase the Feb. 22, 2019 edition of Collegiate Baseball or subscribe by CLICKING HERE. 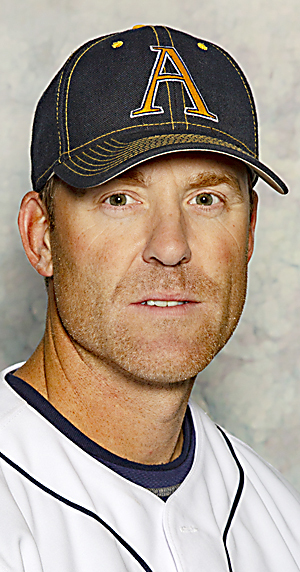 Augustana Head Coach Tim Huber explains in detail how his teams practice indoors for months to prepare for the season and how his teams are able to steal so many bases, plus more. WEST POINT, N.Y. — Every high school player has a dream of playing college baseball. 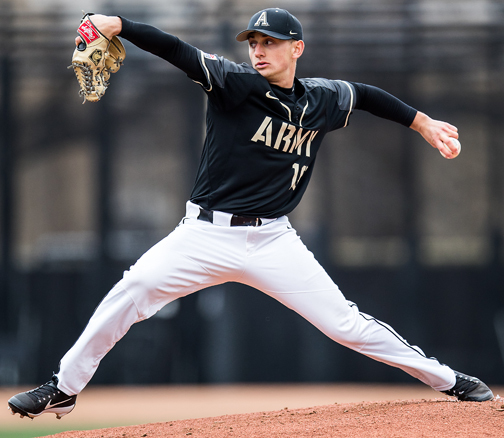 For Cam Opp, Army’s superb 5-foot-9, 185-pound southpaw pitcher, the quest was extremely difficult. He was born in Highlands Ranch, Colo., and his family moved after six years to Hinsdale, Ill. for three years and then made a third move to London, England when he was almost 10. While England is a hotbed for soccer, cricket and rugby, baseball is an afterthought on the sports scene. 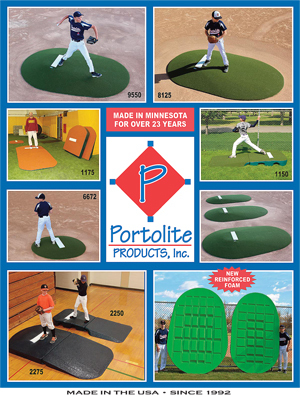 The bond of many young boys and their fathers is the wonderful sport of baseball. In the case of Cam and his baseball loving dad Stuart, it was special. Stuart helped his son learn every facet of the game by working with him every chance he got while Cam played Little League and beyond. The only problem was that the competition level in London was terrible. As Cam started high school, the reality was that he would have to move back to the USA if he stood a chance of playing college baseball. The family came to a decision to allow this young man to return to the United States and attend Christ School in Asheville, N.C. for his junior and senior years of high school. He would then see where his baseball skills would take him while going through a demanding academic load at this well known boarding school. Cam would be on his own 4,040 miles and six time zones away from his family back in London. The dream of playing college baseball was the fuel that drove him. “I lived in England for about seven years from the ages of 10-16. “I wanted to give college base-ball a shot in the USA, and the best way to do that was to go to a boarding school back in the U.S. The competition in England wasn’t where it needed to be to play in college. “I was accepted at Christ School and began the next chapter of my life. Opp said that he improved as a baseball player at Christ School. “I have always been a pretty competitive kid and played with a chip on my shoulder because of my size (5-foot-9). I played a lot of outfield in high school and started pitching. I threw my fastball 80-83 mph at the time during my two years there. “Most of the pitching instruction I had had prior to that was with my dad to be perfectly honest. There was not any scientific process to gaining velocity. By the time I graduated Christ School, I was throwing in the low to mid-80s with my fastball as a lefthander. Opp said that he missed being with his dad a great deal during his time in North Carolina and had many long conversations with him on the phone about pitching. “I always talked with him about all the things going on in my life whether it be pitching after a game or going out to golf as I went over every hole. He was always a role model for everything I did. Cam pitched well his junior season at Christ School and survived the rigors of a tough academic grind. When he flew back home to London after his junior year, he was excited to share his experiences with family. “When I got home, my parents sat me down on the couch and told me that dad had cancer,” said Opp. Cam had no idea his dad was fighting for his life for the previous three months. To read more of this story, purchase the Feb. 22, 2019 edition of Collegiate Baseball or subscribe by CLICKING HERE. CORVALLIS, Ore. — Imagine being the 1,197th pick in the MLB Draft out of high school and three years later the odds on favorite to be the No. 1 pick overall. Oregon State’s 6-foot-2, 216-pound catcher Adley Rutschman is that man. Since that time, he has improved dramatically in every phase of his game at Oregon State. His greatest strides have been made as a switch hitter. As a freshman two seasons ago, he hit an anemic .234 in 61 games with 7 doubles, 2 homers, 33 RBI and 27 walks over 209 at-bats. Last year was remarkable as he hit 174 points higher with a.408 batting average. He had 15 more doubles (22), 7 more homers (9) and collected 26 more walks (53) as he turned into a skilled hitter from both sides of the plate. It was one of the greatest turnarounds by a hitter in college baseball history. At the College World Series last year, he was on fire. Over eight games against elite pitching staffs, he hit .567 as he collected a College World Series record 17 hits in 30 at-bats and recorded 13 RBI, 3 doubles, 2 homers and 7 walks. He tallied three hits and two RBI in the national title game win over Arkansas as Rutschman was named Most Valuable Player of the 2018 CWS. Last season he delivered clutch hits over and over again. One he will never forget was a walkoff inside-the-park home run in the 10th inning against Nevada as he went 4-for-4 with two walks. 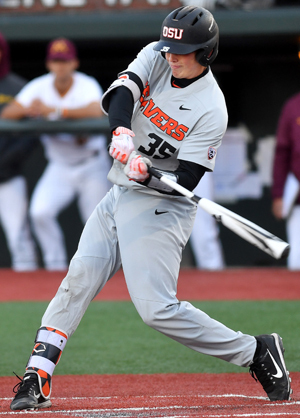 Oregon State Head Coach Pat Bailey, one of the top hitting minds in the game, said subtle changes were made with Rutschman after his freshman season. “Adley was a disciplined hitter when he came in our program and worked hard. But I feel there were two keys to his success last season. Rutschman was the placekicker for the football team his freshman year as he served as a kickoff specialist, averaging 59.5 yards per kick with 20 touchbacks. At Sherwood High School (Sherwood, Ore.), he booted a state-record 63-yard field goal as a senior in 2015. “Second, he was consistently collapsing his back side which was causing him to come off the ball earlier on the front side. That was the No. 1 thing we cleaned up. We did different drills with him to refine that area. “Being a hard worker allowed Adley to improve quickly. As a switch hitter, he had issues from both sides. But he collapsed more from the left side. We just tried to get him to stay tall on his back side and keep a proper distance between his feet. Bailey said Rutschman’s leadership skills are off the chart. “He is a selfless, great young man. I have known Adley since he was five years old going back to the days when I coached at George Fox University with Adley’s dad Randy. To read more of this article, purchase the Feb. 22, 2019 edition of Collegiate Baseball or subscribe by CLICKING HERE. The rest of the article delves into Adley Rutschman’s remarkable receiving ability and how he has shut down opponent running games. Pitching Coach Nate Yeskie explains why he is so special with his unique way of working with pitching staffs and why he is an iron man who rarely misses a game. WACO, Tex. 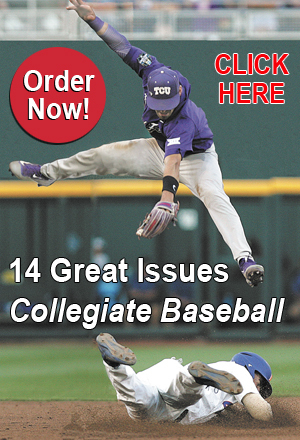 — One of the amazing coaches in college baseball is Mitch Thompson of McLennan Community College. His coaching career spans three decades and includes 23 years at the NCAA Division I level, including 22 years in the Big 12 and Southeastern Conferences with stops at Baylor, Auburn and Mississippi St. In five seasons under Thompson’s leadership, McLennan has amassed a 214-88 record and have made five consecutive post-season appearance for the first time since the 1990s. No other junior college in the country is accomplishing the combination of winning games, developing players and excelling in the classroom better than his program. Most drafted catchers of any college in the USA the last three years (4). Highest drafted junior college player in the nation last year in Josh Breaux who was a second round pick by the Yankees. Since 2014, nearly 15 players a year have signed with 4-year colleges. Over the last five years, 13 players have been chosen in the MLB Draft. Over the 2017-2018 academic year, McLennan had the third highest grade point average of any NJCAA school at 3.51. Over the 2016-2017 academic year, McLennan again had the third highest GPA of any NJCAA school at 3.42. The numbers above all others that jump out are the team academic figures. 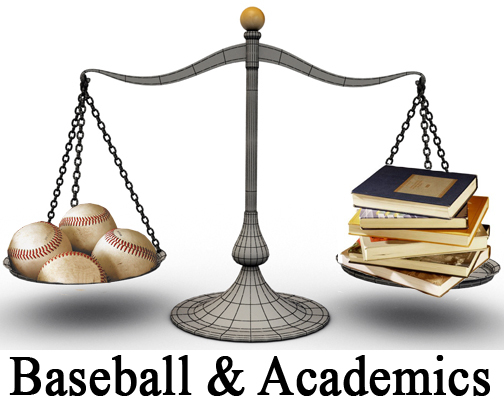 Many junior college baseball teams are filled with athletes who were average to poor students in high school. That is why junior college baseball is the land of second chances for many baseball players. Players with poor academic skills routinely transfer out of 4-year colleges and into junior colleges. “Having baseball players at the junior college level who are poor academically may be true at many places,” said Thompson. “What we have done is stress in the recruiting process that I am looking for three things. “First, I want a kid who wants to be a champion on the baseball field — a guy who really wants to develop. I want a guy who thinks he can play in the Big Leagues. “Second, I want kids who understand the value of an education. He realizes that playing in the Big Leagues will be a difficult task. So he prepares for life. “Third, I want a good kid from a good family. He must understand the importance of hard work. 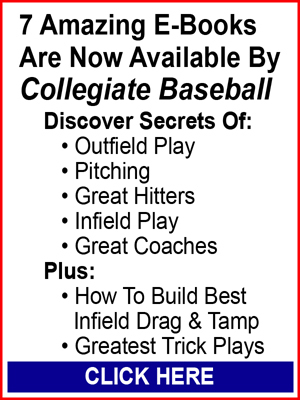 To read more of this article which explains the system in place that McLennan players have thrived in, purchase the Feb. 8, 2019 edition of Collegiate Baseball or subscribe by CLICKING HERE. STANFORD, Calif. — Stanford Head Baseball Coach David Esquer is living proof that hard work can overcome almost any disaster. Esquer succeeded Mark Marquess on June 16, 2017 when the Hall of Fame coach retired after 41 years at the helm of the Cardinal. Esquer played under Marques on Stanford’s 1987 national championship team and was an assistant under Marquess from 1991-96. Last season was Esquer’s first as head coach of Stanford as he led the Cardinal to a 46-12 record. What is unique about this terrific coach is that he coached at arch-rival California for 18 years prior to being chosen as the skipper at Stanford and led Cal to five NCAA Regionals and the 2011 College World Series. In September of 2010, administrators at the University of California announced their intention to eliminate baseball along with three other sports. It was a shocking announcement since the baseball program was the oldest athletics program at California with a proud 119-year history. The baseball program had won two national titles, including the first College World Series in 1947 and another in 1957 and had appeared in the CWS five times heading into the 2011 season. A big factor in the decision to do away with Cal baseball was Title IX. Several months after the announcement, administrators backtracked in mid-February of 2011 as they announced that men’s rugby, women’s lacrosse and women’s gymnastics would be allowed to continue, but baseball and men’s gymnastics would still be eliminated at the end of the 2010-11 academic year. It was another body blow to the baseball program. Just prior to the announcement by Cal administrators, a report in the New York Times said that if they went through with their original plan to cut four sports and demote rugby to varsity club status, it would cause a compliance issue with the federal gender equity law and force further cuts to men’s roster spots. The article said that administrators would be forced to cut 80 men from remaining teams and add 50 women to come into line with Title IX. The baseball program seemed to be on death row. What happened next was historic in the annuals of college sports. California baseball boosters came to the rescue of the baseball program, raising $10 million in two months which allowed the program to be rescued from the chopping block. This money is being utilized to finance the baseball program at California as a fully funded NCAA Division I varsity sport. The Cal Baseball Foundation was established to make this happen. This remarkable group of people headed by Stu Gordon (pitcher on the Cal. 1960-61 teams) and Dan McInerny (member of the Cal 1980 CWS team) worked on raising $25 million for a permanent baseball program endowment so it can operate off the interest forever. This bold plan has never been done in college athletics’ history for a varsity sport on the NCAA Division I level, according to several long time administrators Collegiate Baseball contacted. To read more of this article, purchase the Feb. 8, 2019 edition or subscribe by CLICKING HERE. ST. LOUIS, Mo. — A remarkable story is unfolding at Harris-Stowe State University. Founded in 1887, this NAIA institution has an undergraduate enrollment of about 1,400 located in St. Louis and has a baseball program that is unique. Head Coach CJ Bilbrey only has 2.5 scholarships to work with and a total budget of $20,000. His yearly salary as the skipper is $4,000 while his lead assistant earns $4,000 and a third coach $1,000. He also has several volunteer coaches. The rest of the money goes toward running the program. Every year, his players bring in an extra $50,000 through fundraising efforts by working St. Louis Cardinals’ games, a PGA tournament, Six Flags and other events with the money being used for travel, food and other necessary areas within the program. To save money, many meals on road trips are peanut butter and jelly sandwiches which are affectionately called “Stowe Steaks” by members of the team. On all but one road trip, coaches drive two vans to away games which also saves money to destinations as far away as six hours. The one bus trip with a hired driver typically includes all of the team as a thank you for fundraising efforts. Because of money constraints, each player is required to purchase three jerseys — home pinstripe white, away brown plus a special jersey designed every year by the seniors in addition to practice gear. The entire cost is about $300. Bilbrey and his wife Crystal own a shirt company and make all of the players’ practice apparel in their kitchen to reduce the total cost for players. The cost of jerseys and practice gear is typically picked up by different family members as a Christmas gift to players. Once a player graduates or leaves the program, he takes his jerseys and practice apparel with him as a special memento. Hats, belts, socks and pants are all supplied by Harris-Stowe. The payoff for all of this sacrifice by players is being able to practice six days a week when cold weather hits at the All-Star Performance facility in St. Louis six days a week. It is 50,000 square feet, including 12 batting cages, eight bullpen mounds and indoor infield with three practice turf areas. In 2013, Harris-Stowe suffered through the torture of 5-38 season. After the last game, it was discovered that one of the players had dropped out of school before the season ended and never told any of the coaches. So all five of those wins were vacated as the season record nosedived to 0-43. 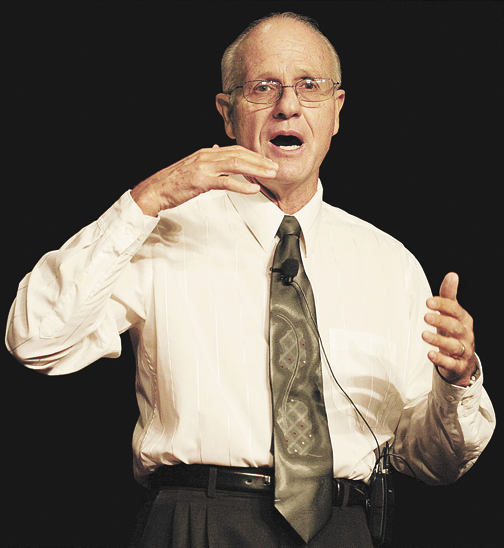 “I arrived at Harris-Stowe in the fall of 2013, and it was rough,” said Bilbrey. “My buddy David Estes was the head coach at the time, and he worked tirelessly. “It just got to be too much. He got out of coaching and is selling insurance now and doing well for himself. “I left Southern Illinois-Edwardsville, an NCAA Division I program, to be a part of an 0-43 NAIA program as a volunteer. The reason I was interested in this position was because I played for Harris-Stowe four years (2004-07) before starting my coaching career. “I immediately jumped into recruiting when I got there. When I called up kids to recruit them, many weren’t that good. But we needed eligible bodies at that point to field a team. I was going after pitchers who threw 81-82 mph. They would routinely tell me that they would rather retire than go to Harris-Stowe. “I told them good luck. We are going to continue working hard and will be much better in the coming years. In 2014, the Eagles won 11 games which was followed by 14 in 2015. 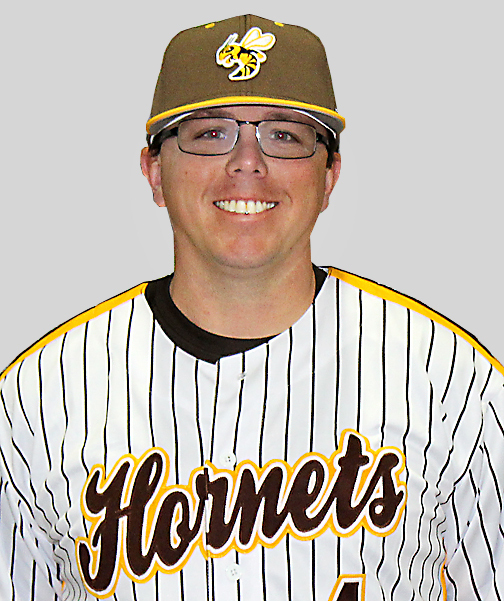 Bilbrey was named head coach, and Harris-Stowe won 18 games in his first season as skipper in 2016. Then the team broke through with 30 wins in both 2017 and 2018 — only the third and four time a baseball team at Harris-Stowe has won 30 or more games in the 75-year-history of the program. To read more of this article, purchase the Feb. 8, 2019 edition of Collegiate Baseball or subscribe by CLICKING HERE. HONOLULU, Hawaii — We are in the era of analytics and the strikeout. Major League Baseball tracks every pitch and swing for data. Universities and high schools follow their lead. Thus, hitting mechanics have been diagnosed, dissected and discussed more than any baseball topic except possibly pitching mechanics. For the first time in MLB history, there were more strikeouts (41,207) than hits (41,018). The highest amount of strikeouts in the past 49 years of NCAA Division I baseball took place in 2018 as 7.88 strikeouts per nine innings per game for each team took place. Each of the last four years have featured strikeout numbers that have gone over 7.00 which has never happened before in the past 49 years. How should you swing the bat? Research gives us the answer. Humbly, our research teams at the University of Hawaii have conducted as much scientific research as any group in the country since 1980. The best Hall of Fame hitters since 1900 have been analyzed under pure research conditions, using the best high-speed cameras and 3-D motion analysis equipment in the world. Our journey began in the mid-1980s. (a) Biomechanically, how do the best hitters of all-time past and present hit a baseball? (b) How do we train a hitter to become a more successful hitter? Our quest for truth led us to Dr. Tom House, pitching coach of the Texas Rangers at the time. Together with additional staff, and high-tech equipment, we formed Bio-kinetics, Inc., a think-tank biomechanical research company in Laguna Hills, California. In 1987, we began studying Major League hitters and pitchers during live game performances and collected valuable film and video on past and present Hall of Fame hitters and pitchers. The analytical process was based on collecting live game performance swings and analyzing these swings using high-speed cameras and the Ariel Computerized Biomechanical Motion Analysis System. By using the Ariel System, we were able to measure and analyze the kinematics (time and space factors in the motion) of the hitters’ swings. The kinematics included were linear and angular displacements (the change in a body’s location in space in a given direction), velocities and accelerations. (a) Elite lifetime high average (.300 +) and power (average per year 35 home runs) hitters. (b) High lifetime average hitters (.330 +). (c) .275 to .300 average lifetime hitters. As we studied the swings of the players in each sub-category, we were able to identify the common scientific four absolutes of the swing and the common seven swing components residing within the four absolutes that all successful hitters possess. To read more of this special report, purchase the Feb. 8, 2019 edition of Collegiate Baseball or subscribe by CLICKING HERE.